Home / it’s no doubt Richard Yap has a daughter equally as good looking as him. / With his looks / Anak Ni Richard Yap Pinagkaguluhan Ng Mga Tao Dahil Sa Kagandahan Nito! Anak Ni Richard Yap Pinagkaguluhan Ng Mga Tao Dahil Sa Kagandahan Nito! 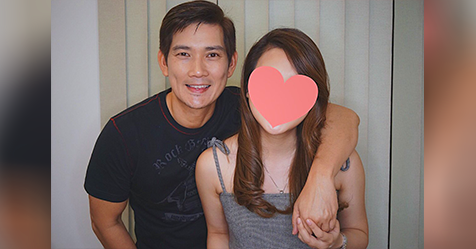 With his looks, it’s no doubt Richard Yap has a daughter equally as good looking as him. Here is the video of Richard Yap’s daughter that caught the attention of the netizens. It’s every woman’s dream to end up with someone as handsome as Richard Yap because he is the living epitome that looks is not measure by age but for Richard Yap’s case, it’s really all because of the genes. Speaking of genes, as mentioned earlier, it’s not surprising to see Richard Yap’s family blessed with close to perfect physique particularly his daughter Ashley Yap. Ashley Yap, if you’re a millennial hooked in watching various Youtube channels, probably you’d stumble upon her vlogs about makeup tutorials. Actually, she’s more popularly known online as a make-up artist than Richard Yap’s daughter because most of her videos posted on youtube involve mostly make-up tutorials and only one or two videos wherein her dad was captured by the camera excluding her video she made on Father’s day wherein ‘Papa Chen’ did her makeup (like a pro). Ashley Yap is not just a pretty face but also with substance. She’s known to be a smart kid with bubbly personality as attested by her videos. There was even one upload where Ashley was able to meet Liza Soberano, Janella Salvador and the other ASAP female celebrities to do a fast talk with them about their makeup regimen. Going back to Ashley as Richard Yap’s daughter, physically, the young vlogger got her ‘chinita’ charming looks from her dad and probably, her fine and very smart personality also came from her dad. When it comes to the netizen’s reactions, many thought the first time they saw both Richard and Ashley Yap together, they thought they were just siblings because their features are very close and judging Richard Yap’s looks, he seemed that he doesn’t age at all to think his top rating noontime drama series. “Be Careful With My Heart” was aired years ago. Do you also agree with us? Share what you also think with us by dropping your comments below. You can also read: JC Arcinue, Nadine Lustre’s Alleged Boyfriend Before James Reid!